After more than six months on the road nothing should surprise me anymore when it comes to RV sites. I tell you, each time we move, its truly an adventure – along with lots of misadventures – as to the quality of the place that will be our home for the week, a couple of weeks, or even a month. No matter how beautiful a site looks on a website, or how many great reviews it gets, the only way to truly know its worth is to see it for yourself! If it wasn’t for the fact that summer is high season I would say cancel all our reservations and let’s wing it. We are at an amazingly gorgeous site on the Oregon coast, and we are paying for it, its the most expensive place we’ve ever stayed, it was planned to be a treat. But for as much as we are paying, there is no internet. Not weak wifi that is frustratingly slow, no wifi at all. We’ve stayed in places without wifi, they offered DSL boxes instead. We’ve stayed in remote national parks that I had planned to have no wifi and was surprised to learn it had some, albeit slow. Here we have NO wifi! 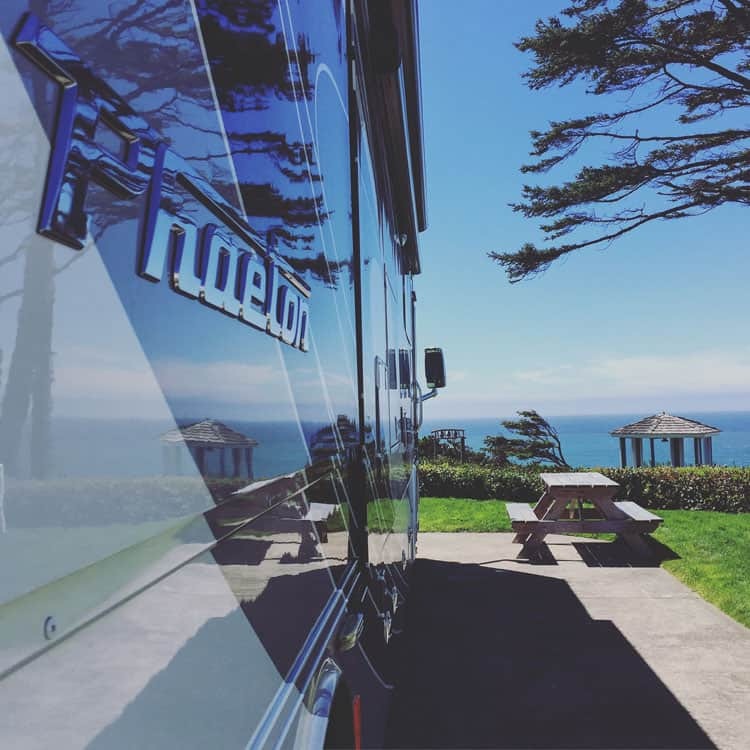 I think as the next generation of RVers become more and more prolific, that is something that the RV industry, including the RV parks, are going to have to address. It’s super rare to go to a hotel these days without wifi (there are some that don’t have it, but you know it going in and plan to be unplugged) the same will be true for RV parks. The other thing about our current location. Fog. Practically all day. We are definitely in this spot at the wrong time. The town is way crowded, something we expected, but still aren’t fans of. The locales we would normally go to in the early AM to avoid the crowds are impossible to visit due to the fog! We are unplugged by force. It’s okay except we feel a little ripped off. Thank goodness we have satellite TV and I was able to watch all of the convention. I watched the entirety of both conventions. Now that they are over, I am reading. I should be working on blog posts offline but I’m not. I’m reading. I figure if I am going to unplug, might as well be all the way! 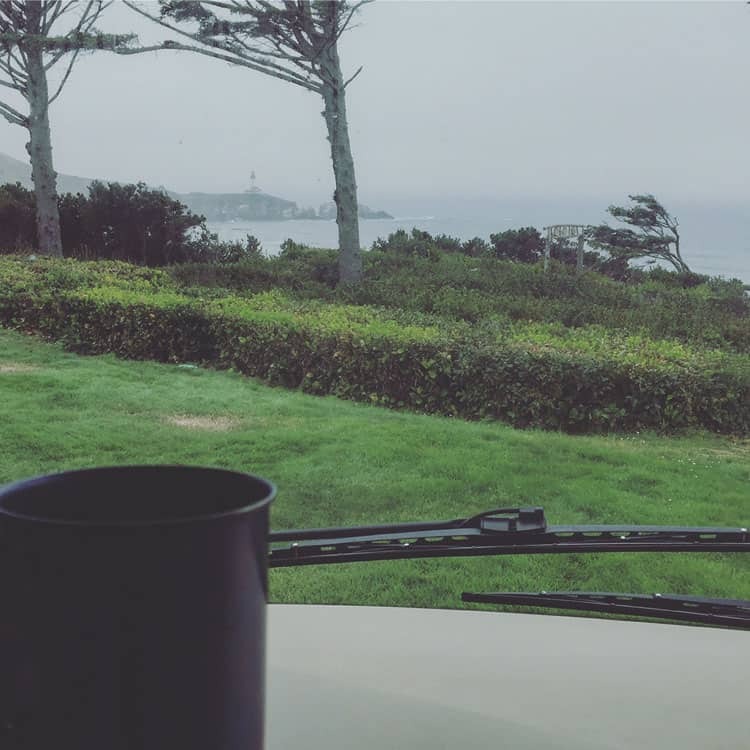 It’s not all bad, we are surrounded by the ocean and have a view of the Yaquina lighthouse (that’s it in the photo at the top, the one NOT taken by Mr. Misadventures since its been so foggy!). We are going to continue to lay low for the weekend, when it is extra crowded, and hope for better (non-foggy) weather next week! We are staying here through next Friday, hopefully we won’t have pulled our hair out by then! 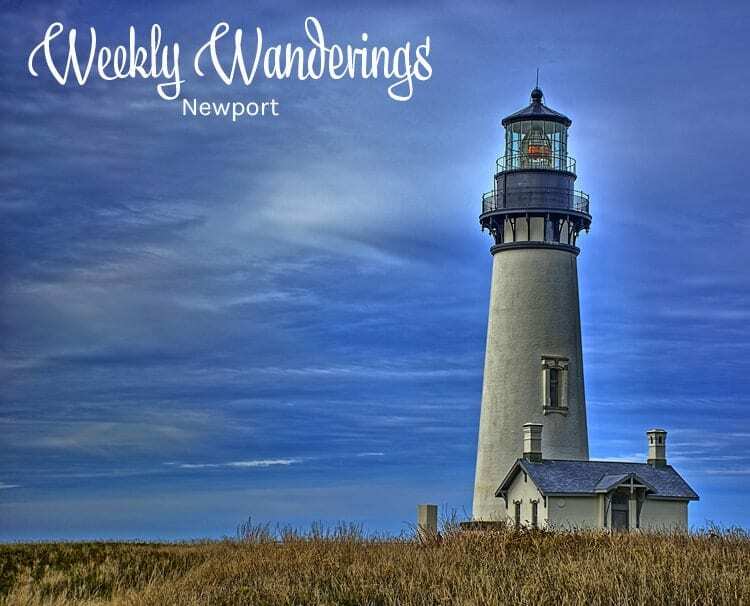 Pacific Shores Motorcoach Resort – Newport, Oregon. That does look like a beautiful spot. Much of the Oregon and Washington coastlines are cursed with fog in the mornings and sometimes into the afternoon. If you go just a mile or two inland there’s a good chance you’ll find sunshine! Love lighthouses, hate fog. I would love to go RVing with my hubby it’s a dream of ours when he retires. It does look very pretty though despite the fog. Living in the midwest, the ocean fascinates me. We have went to the coast once and ond visited the eaast coat. They have some lighthouses there. It always surprised me how remote some where. You poor thing. You pay the most here, for less comfort. I think the RV companies need to address this wi fi issue also. Maybe install something for it. I hope the fog moves on…at least there is a lighthouse for the boats! I’d love to visit Oregon someday! It’s beautiful! I love the scenery. I like the Lighthouse. So many beautiful spots. Your blog totally encourages me to travel.. as I have not really traveled much in my life. Beautiful photos!